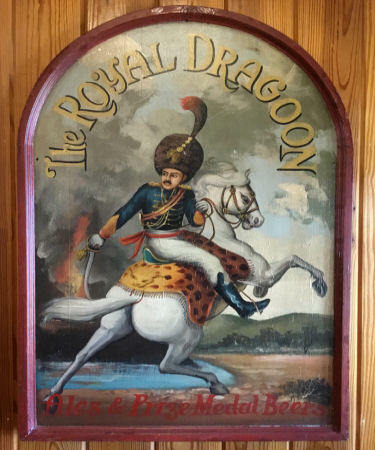 Is this a Kent Pub sign? From an email received 31 March 2014. 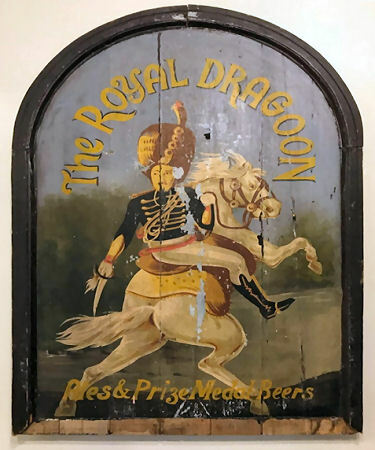 I found this wooden pub sign in a remote antique store in the Pacific Northwest of the US. The history of the sign is unknown by the shopkeeper. They anticipated that the sign might be from the 1950s. 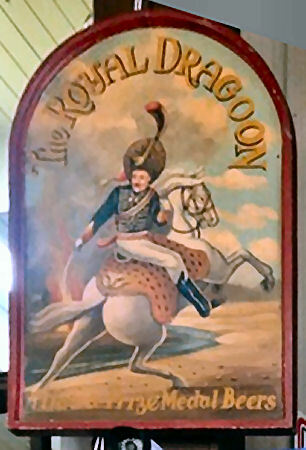 It is hand-painted on wood, and has been in the shop for perhaps 10+ years without any knowledge as to how they got this. I saw some information on a web site and perhaps someone can refer\direct me to a historian that might have some knowledge. The above sign (left) has just (21 April 2018) turned up again on the internet, although it's not quite the same as the one on the right. Looks like another one has turned up, and again it's slightly different. This one was kindly sent to me from Sherry Scruggs.